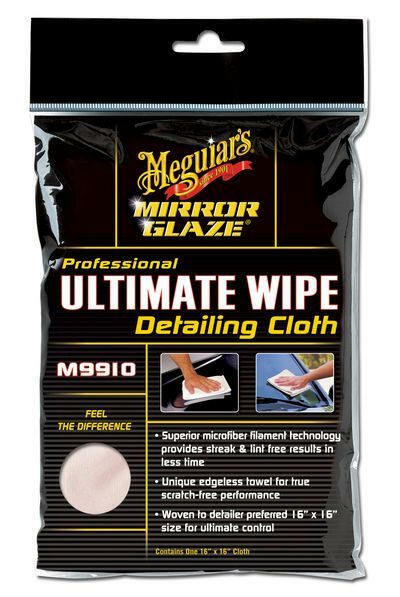 The Professional Ultimate Wipe® Detailing Cloth is made with superior microfiber technology. Edgeless towel eliminates cloth-inflicted swirl marks. Features three time the absorbency of traditional terry cloth towels, producing a clearer, deeper shine. Washable for reuse.